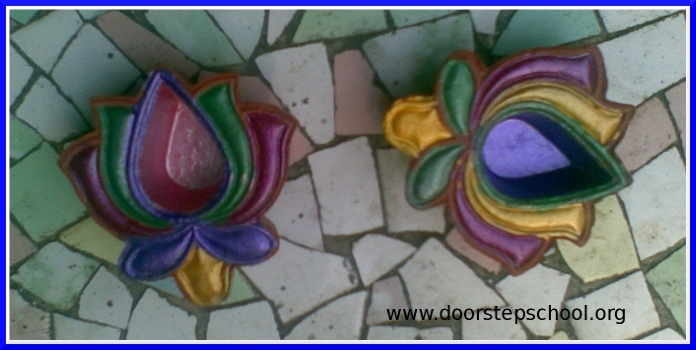 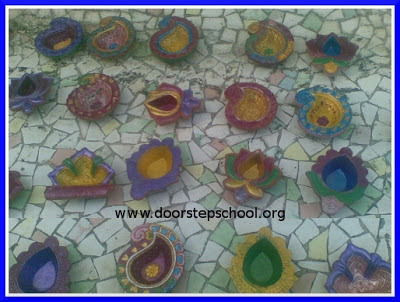 Door Step School, Pune organised Diwali Art Camp for children at Community Learning Center in Shivaji Housing Society, Senapati Bapat Road, Pune, on 20th October 2012. 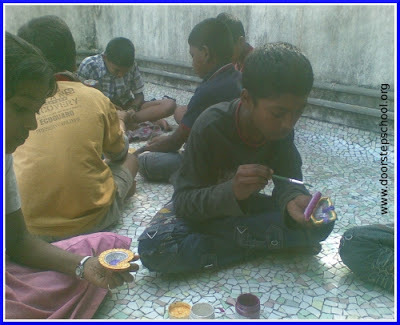 More than 50 children participated in activities like Diya Painting and Greeting Card making. 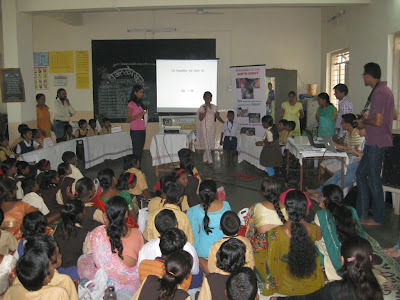 Volunteers from corporates like Bitwise Solutions and Cognizant helped children in these activities. Bitwise also sponsored material and snacks for the camp.